2012 has been another big year for AWF. We would like to thank you, our subscribers, for your continued interest and support. We also wish you a happy holiday season and best wishes for the year ahead. 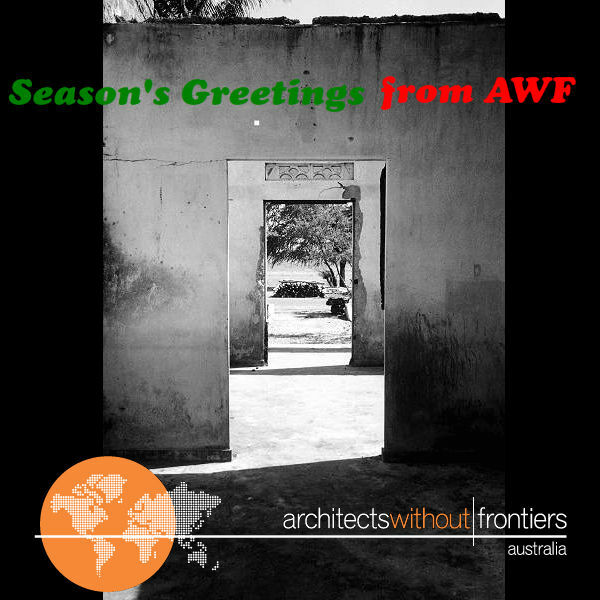 The AWF team will be taking a short break over Christmas and will return in February 2013 with new projects and events. In the meantime here's a few highlights from the past year. 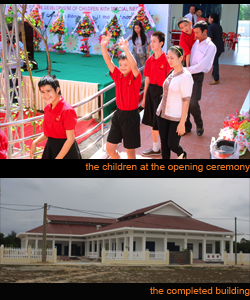 The Dien Ban Disability Day Care Centre was officially opened in April 2012. AWF worked for 4 years with locally based NGO The Kianh Foundation and RMIT University to design and deliver this facility, which is providing access to urgent health, physiotherapy and educational needs. As Nick Keegan of the The Kianh Foundation stated "this project has delivered a tangible benefit to children with dsaibility in VIetnam and is an excellent example of what can be achigeved with the international community and the Vietnamese authorities cooperate". For further details, visit The Kianh Foundation, on their Facebook page or website. 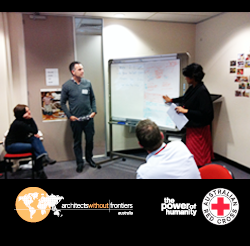 This year, AWF was joined by twenty-three built environment professionals who took part in the first AWF/ Red Cross 'Pathways to working in the Humanitarian Sector' training course. The course was very successful and we had some fantastic feedback from the participants. We will be offering another course in Sydney in April/ May 2013. To keep up to date with the latest developments or to be added to the mailing list email : training@architectswithoutfrontiers.com.au. 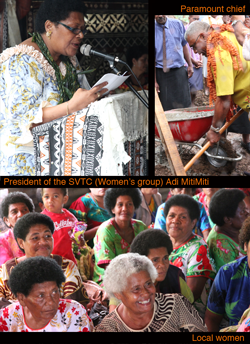 The ground breaking ceremony for the Cakaudrove Women’s Resource Centre was held in September 2012. With the funding support of AusAID, the Cakaudrove Women's Resource Centre will provide local rural women with safe accommodation when travelling to Savusavu town to sell their produce and handicrafts. The centre will also act as a training facility to empower and train young rural women towards self-employment. Construction on the centre will commence in the next few months. We are looking forward to seeing the dreams for the centre become a reality. AWF is very excited to be partnering with the Cotton On Foundation to provide and coordinate pro-bono architectural services on the proposed Mannya Village HIV Centre. AWF have just finalised the EOI process to source a pro-bono architect for this project. More details to come early in the new year. Copyright © 2011 AWF, All rights reserved.